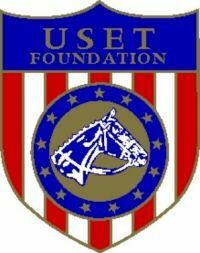 Gladstone, NJ – May 24, 2014 – The fifth day of the George H. Morris Gladstone Program saw an abundance of auditors line the stands at the USET Foundation Headquarters at Hamilton Farm for the Saturday mounted sessions. The sessions this morning reviewed the previous four days of instruction, summarizing position, release over fences and exercises using classical dressage. Both groups of riders began their exercises this morning using classical dressage techniques. 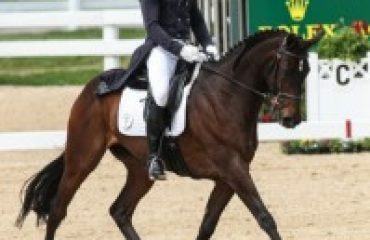 Morris enunciated the difference between classical and competition dressage, focusing on the importance of preparing all horses with the use of classical dressage and leg aids. 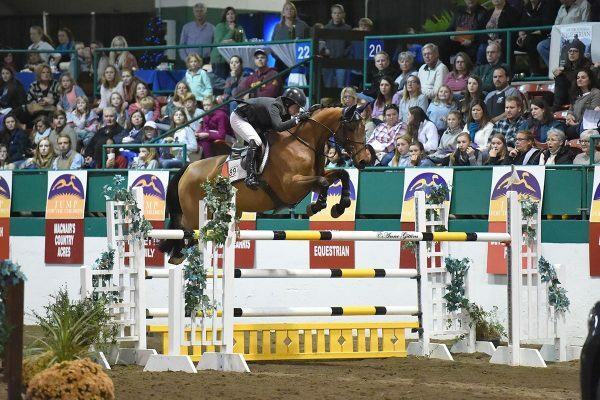 In normal Morris-style, the riders walked forward with impulsion as he commented on their stirrup lengths, notating that the length of the stirrup should be two to three holes longer for flat work. 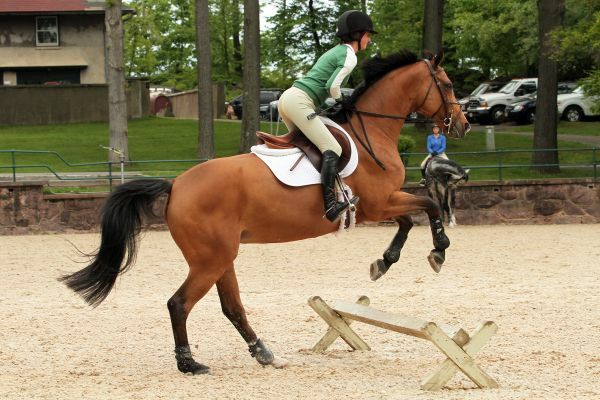 After a day of no stirrups, it was important that the riders maintained their forward positions in the saddle, staying about 5 degrees ahead of the vertical, using their bodies to be slightly ahead of the base of support and never falling behind the movement of the horse. Morris advocated the use of two-point contact as the riders lengthened their legs around the horses, focusing on the forward inclination, referring to the position as “indispensable.” They posted for 10 strides, and then held two-point for 10 strides, observing the position and the change in the base of support. 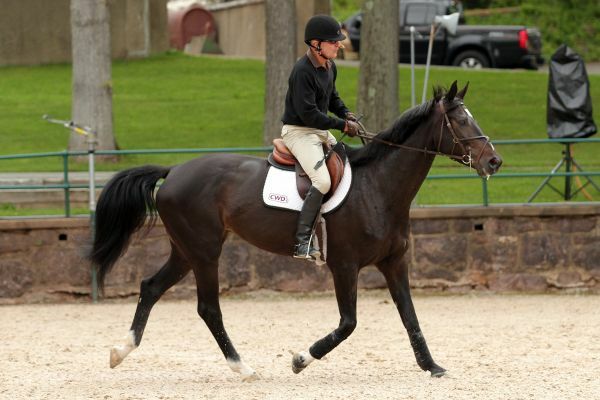 The posting or rising trot is exactly like jumping; the movement of the horse thrusts the rider forward in the saddle, displacing the base of support from the knee to the heel, using the stirrups for stability. After completing several volte, a little larger than 6 meters in diameter, Morris asked the riders to make the circles smaller and smaller until they were working at the pirouette. Morris continued to work the riders and horses with the four-track ravers (“haunches in”) and renvers (“haunches-out”), as well as with shoulders-in and shoulders-out to increase suppleness and rideability while working on leg aids. 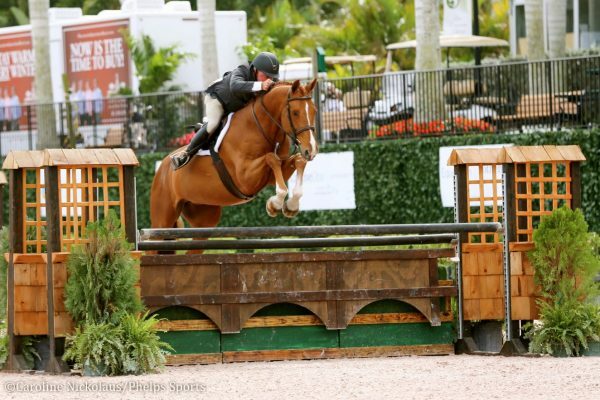 Morris then asked the riders to complete leg-yields and half-passes as part of the lateral schooling. 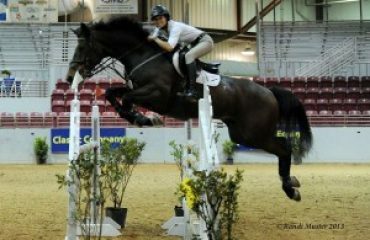 Morris completed a series of cavaletti aboard Sloane Coles’ horse during the first session, focusing on the position and jumping with contact. 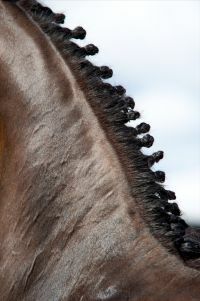 For the second group he had the five riders practice over cavaletti, cantering the series in a forward two-stride to a bounce and into a three-stride to complete the exercise with the halt. Morris then had them reverse and complete the exercise at a collected pace adding strides and halting before the in-gate. After completing a series of questions from the auditors and riders, the morning session was released. 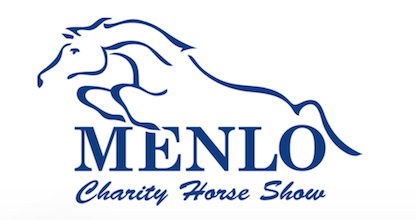 The 10 riders proceeded on to a closed Physio Session with Equine Physiotherapist for the United States Show Jumping Team, Janus Marquis. After the Physio Session, each rider sat with Morris to speak one-on-one about their career and a program to follow. 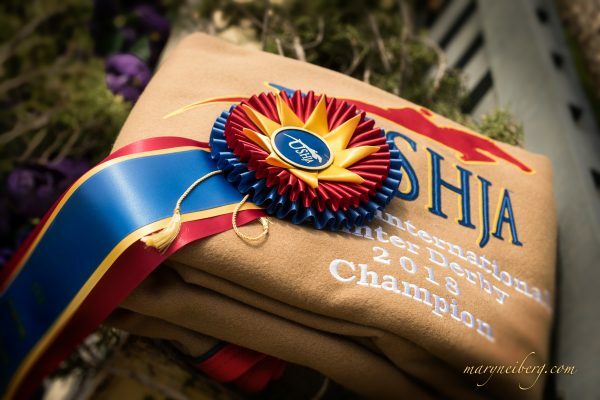 The Gladstone Program is designed to focus on the training and education for exceptionally dedicated and talented show jumping riders who are serious about their interest and desire to pursue a path that will prepare them to be a “team” rider and represent the United States in international competition. 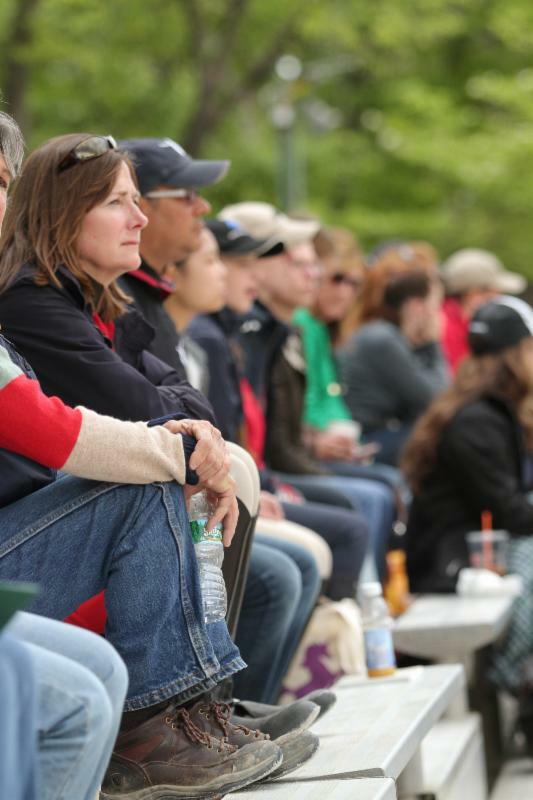 Tomorrow brings the final day of the 2014 George H. Morris Gladstone Program, focusing on a morning filled with jumping. The riders will face a daunting course promptly at 8 a.m. and 10:00 a.m. The morning sessions are open to the public for auditing.